Welcome to your dental insurance guide. This page will give you a good understanding of dental insurance and will inform you about savings opportunities, as well as provide a number of other useful tips based on our publications. The Canadian publicly funded health care system provides coverage to all Canadian citizens offering reasonable access to health care from doctors and hospitals through provincial and territorial health insurance plans such as OHIP in Ontario or RAMQ in Quebec. Private insurance pays for services that are not covered by government plans, including number of dental care services. What are some additional sources of dental insurance? Group Insurance: Often your employer offers Group Health and Dental Insurance benefits as a part of your compensation. Credit cards: These are often a source of Health Insurance if you have an urgent issue while traveling abroad. They typically cover only emergency medical expenses. Protection for dependents: You can be covered by your spouse’s group policy if you are included as a dependent there. 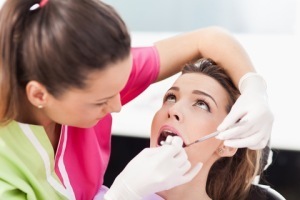 What are the Key Elements of Dental Insurance? Dental insurance policies can vary greatly based on the scope of services covered and coverage limits. Often, dental insurance is bundled with basic health insurance. Dental insurance benefits frequently have a tiered coverage model, meaning that in the first year dental insurance covers only a particular part of dental expenses and this percentage goes up in the following years. The thought behind this scheme is to make sure that people do not go and buy dental insurance only when they need it due to an acute dental issue, but have constant dental insurance protection. Otherwise it would not be economically feasible for insurers to offer this type of insurance. There are several components of dental insurance that need to be considered. Comprehensive basis dental services: These are more complex services such as, but not limited to, periodontal treatments such as cleaning and scaling, root canal therapies, denture cleaning, repairs, re-basing and lining. Major and orthodontic dental services: Inlays, onlays, crown restorations, dentures, bridges, and bridgework on natural teeth, etc. Insurance Premiums: Typically, the more you pay in premiums, the higher the maximum coverage amount per calendar year, and the higher the percentages of costs covered from year to year. Life Insurance for People with Diabetes – How Much Will It Cost You?